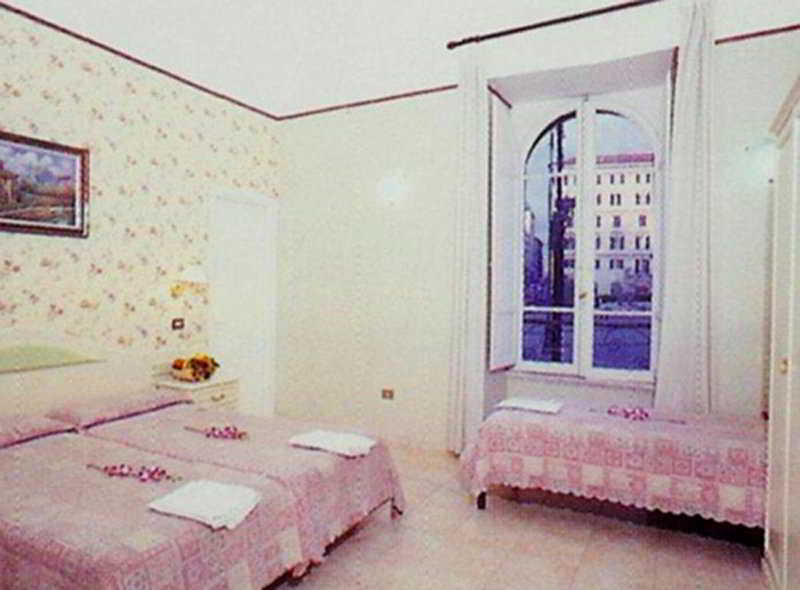 The hotel is situated in the heart of the 'Rome of the Caesars,' a short walking distance from the Colosseum and the Imperial Fora, but also in the heart of the 'Rome of the Popes,' with the Trevi Fountain, the Spanish Steps, the presidential palace and the Basilica of St. John Lateran. It is located in front of the steps of the Basilica di Santa Maria Maggiore, one of the four basilicas of the city. 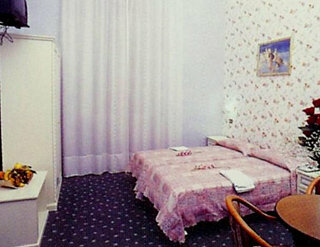 The hotel is also situated a short distance from the central train station, Termini, which offers connections to Leonardo da Vinci-Fiumicino Airport (40 km away) and Rome Ciampino Airport (30 km away).The hotel has existed since 1920, and it is one of the oldest hotels in Rome. It is situated in a 19th-century palace built by the Aragona family, and it was once the residence of Prince Parini. 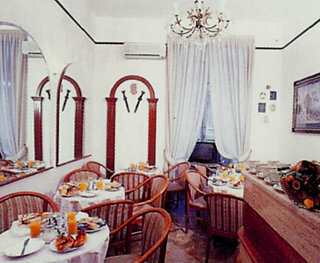 This family-friendly air-conditioned establishment has 21 rooms and welcomes guests in a lobby with 24-hour reception. Lift access and a breakfast room are also offered.The hotel has twin, triple and quad rooms. Furniture is made in the ancient Venetian style. All rooms have private en suite facilities including bath or shower and WC. They are equipped with hairdryer, minibar, safe, direct dial telephone and cable TV. The rooms have double or king-size beds, individually regulated air conditioning and central heating.A continental breakfast buffet is served daily.